Growing up I loved being outside and playing some type of team sport. I played soccer for the majority of my childhood with my father being my first coach. He also taught me how to play tennis as a child. To this day, I still thoroughly enjoy playing tennis and soccer. For the last 5 years, I have been coaching at Evolution Fitness and Lacrosse for Haddonfield High School. I think coaching has always been a part of who I am and I like the close connections or friendships I have made with our members and the athletes on the team. It is gratifying to be a part of someone’s journey and growth as they continue to improve and attain their goals that they set out to accomplish. Let’s think about why we need a coach. Coaches bring out the best in us and help us to reach our potential. They help us to become the best versions of ourselves when we are unable to see it objectively. Sometimes we need that push to see what we are actually capable of doing. Coaches accelerate success. I have many coaches in my life; for my business, for my fitness training, for my nutrition and for other new ventures I may seek. It’s great to have coaches that have been in my shoes and that I can learn from to help me get closer to creating the lifestyle I’ve always wanted. At Evolution Fitness, everyone has a coach whether you are doing customized training, classes and/or nutrition. We are here for you to provide a plan and a solution to get better results. If you want to take it to the next level, we want to be your COACH that will get you there. P.S. 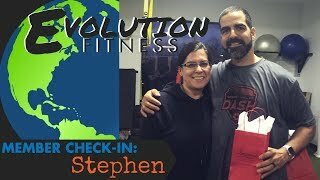 If you are interested in learning more about what we do at Evolution Fitness, click here or call (856-751-1300) to set up a free Membership Strategy Session.